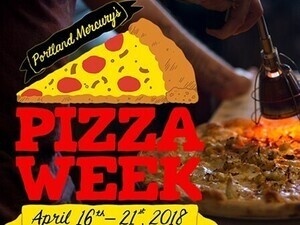 The Portland Mercury annually teams up with over 30 of Portland's favorite restaurants to offer special, one-of-a-kind pizza slices all over town . . . and each slice is only $2 each! View the event website for a list of restaurants and more details.